Windows Media Player(WMP) is a built-in player of Windows operating system, which means Every Windows computer has a WMP. 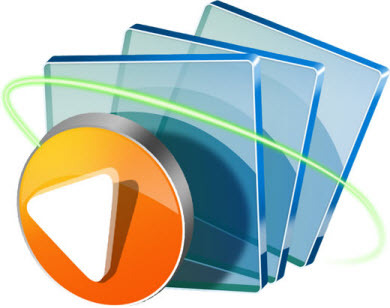 WMP is a popular video player, because it supports not only playing many video and audio formats as well as DVD and CD with high definition playing quality, but also burning CDs and DVDs and ripping CDs. Besides, Mac Version of WMP is also available to download. However, a flaw in this perfect WMP is that it cannot directly play iTunes videos which is protected by DRM and can only be played with iTunes. But there is method to make iTunes videos played with WMP. But there are still methods to make it possible to play iTunes videos with WMP. 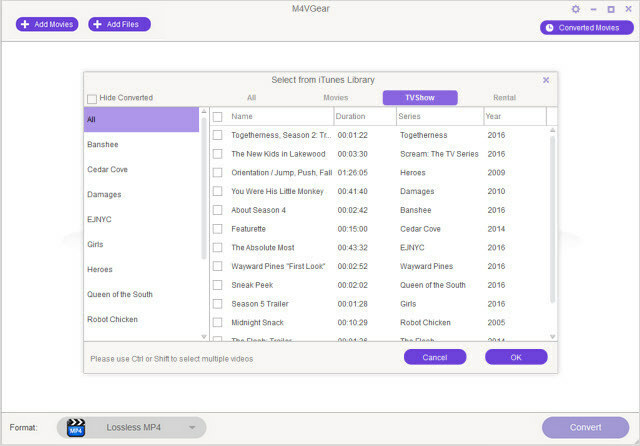 One well recognized method is to convert iTunes videos to WMP supported formats with M4VGear iTunes to Windows Media Player Converter. Remove DRM from iTunes M4V Rentals and Purchases. 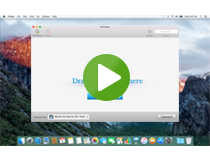 Convert iTunes movies, TV Shows, Music Videos to unprotected video. Unlock M4V to Android, Windows 8 phones & tablets. Support batch conversion. Very easy to use. Tutorial: How to convert iTunes videos to WMV format? Note: This tutorial is on how to convert iTunes videos to WMV is with M4VGear iTunes to WMP Converter for Windows. After downloading M4VGear iTunes to WMP Converter for Windows, launch the program and iTunes will be opened automatically with it. Please click "Add Movies" button on the upper left to import iTunes videos from iTunes library. Click "OK" to apply. Check the loaded video and then choose on the right panel "Customized WMV Video" as output format. You can customize video and audio parameters like codec, bitrate and so on by clicking the WMV icon the right of loaded video. Then click "OK" to apply. 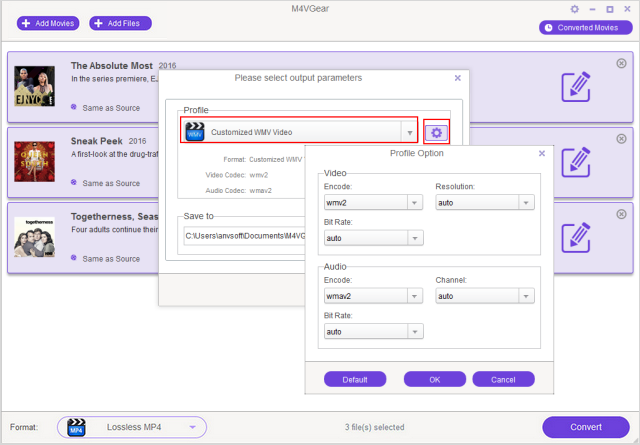 Tips: Besides WMV, you can also choose other output formats supported by WMP like MP4, AVI, MP3, AAC, WMA and so on. Click Option on the upper right to change the output folder for storing the output videos. Then click "Convert" button to start converting. After it is finished, go to output path and find and play the output video with Windows Media Player. It is very simple to extract audios from iTunes videos as long as you choose audio output formats such as MP3, WMA, AAC in the above tutorial. If you want to burn the output audios to CDs, Windows Media Player is very good choice since it is free CD burner and works well. Audio CD: Burn music CDs in standard Red Book audio format. Audio CDs can be played in most computers and in home and car CD players that play CD-R and CD-RW discs. You can burn an audio CD from either Windows Media Audio (WMA), MP3, M4A, or WAV file formats. Data CD: A data CD, also called a media CD, can store approximately 700 megabytes (MB) of music or video files. Data CDs are also useful if you want to back up your data files. Keep in mind, however, that some CD players and computers may not be able to play data CDs or some of the file types that can be burned to a data CD. If you are Apple Music subscriber and also want to enjoy Apple Music on MP3 players or other HD device without restrictions. Sidify Apple Music Converter should be the best choice, which enables you to convert Apple Music tracks to plain MP3, AAC, FLAC and WAV format losslessly at up to 20X speed, while keeping original audio quality and all the ID tags.